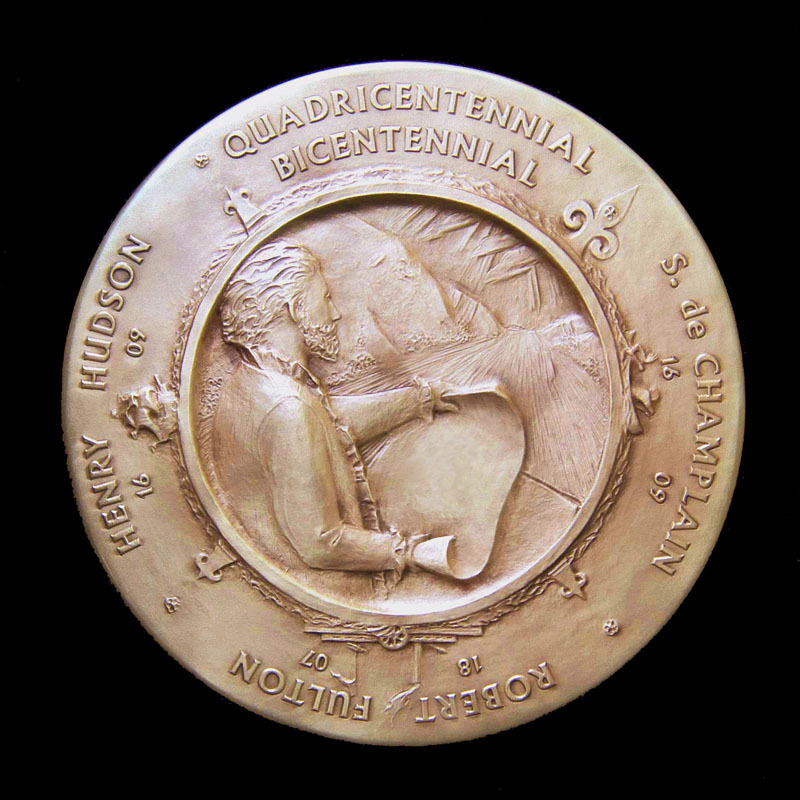 Celebrating the 400th anniversary of Hudson and Champlian plying the waters of the "New World", Merck was commissioned by the New York State Quadricentennial Commission to render a "Medal of Discovery". Also commemorated was the 200th anniversary of Fulton's first successful steamship voyage up the Hudson River. 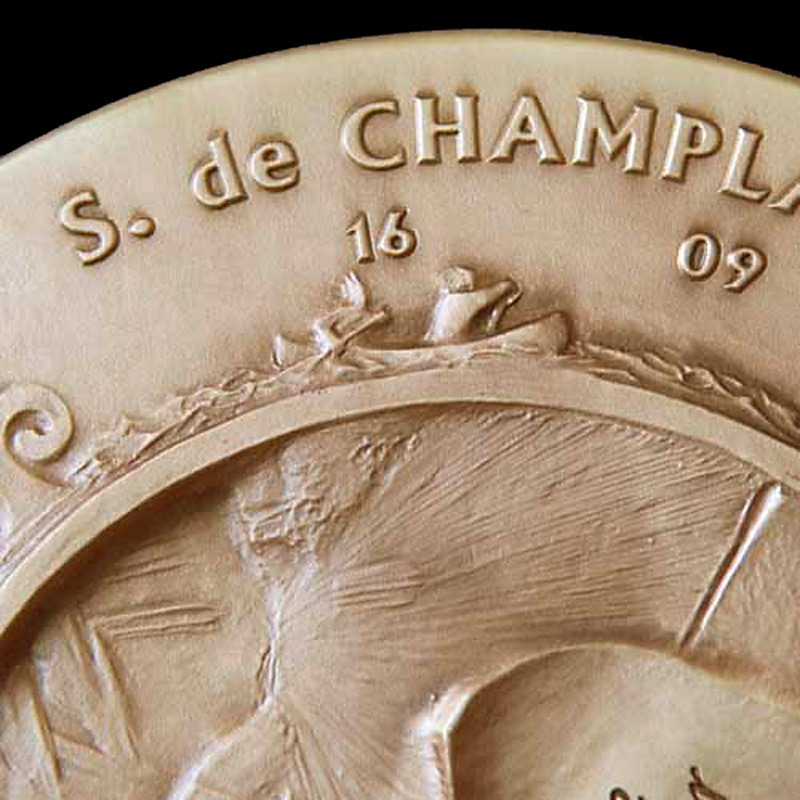 The cardinal points of a compass, styled from the compass used by Champlain, separate miniature renderings of Hudson's "Half Moon", Fulton's "Clairmont" and Champlain's Native Nations' canoe.